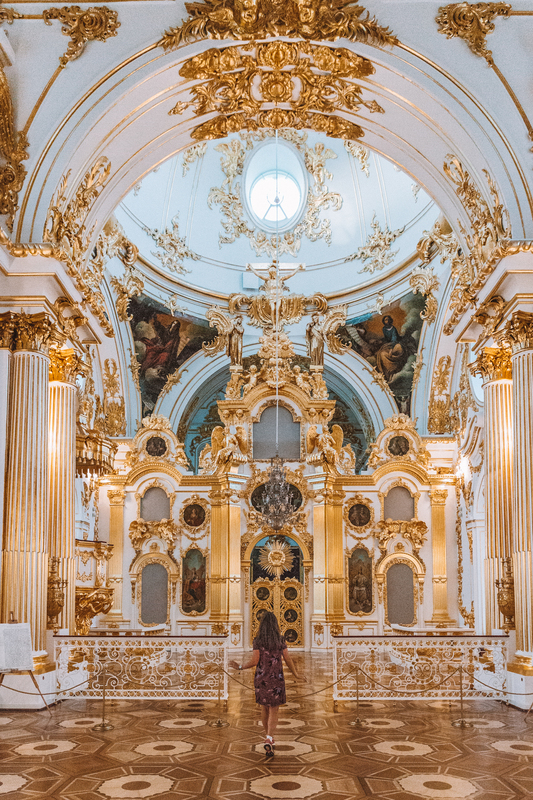 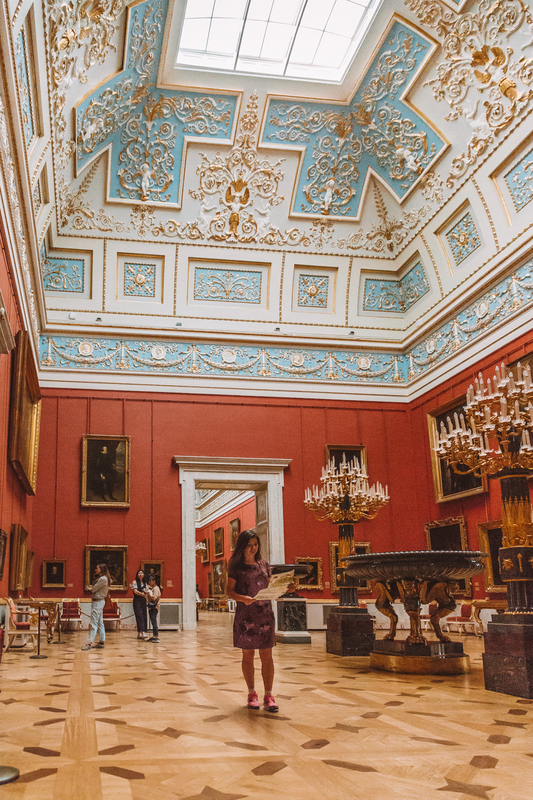 Over 400 rooms of interiors so dazzling and magnificent and art so precious your eyes literally hurt and you forget how to breath – that is Winter Palace, one of six buildings of the gargantuan Hermitage museum in Saint Petersburg (Russia). 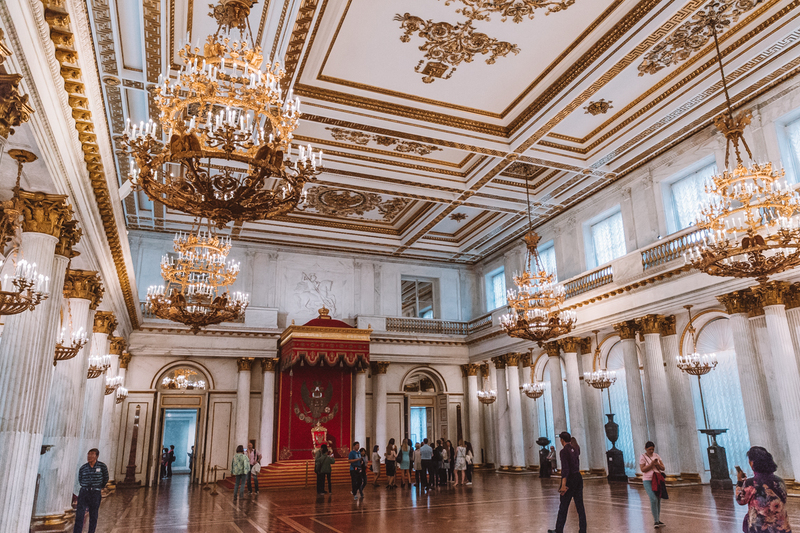 Baroque-style palace in gorgeous mint-green colour used to be the main residence of Russian Tsars. 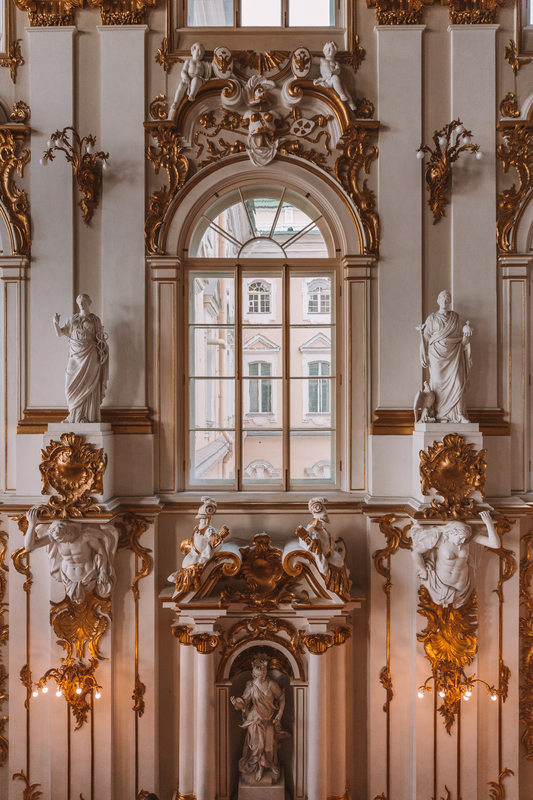 Always on a mission to impress guests from all over the world, they’ve definitely succeeded in stuffing interiors with as much gold, pearls, diamonds, silk, marble and other precious materials as possible. 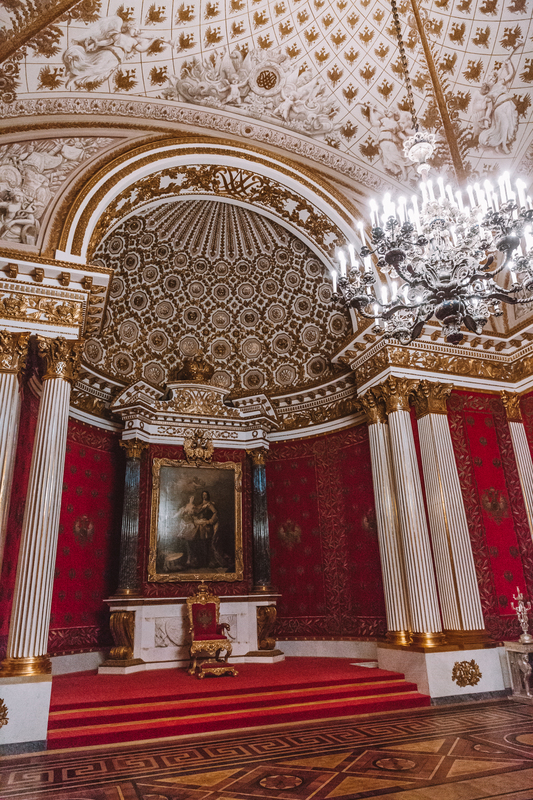 Add masterpieces by Rembrandt, Picasso or Da Vinci, generously sprinkled throughout the three floors – and you get an understanding of what an impressive place it is. 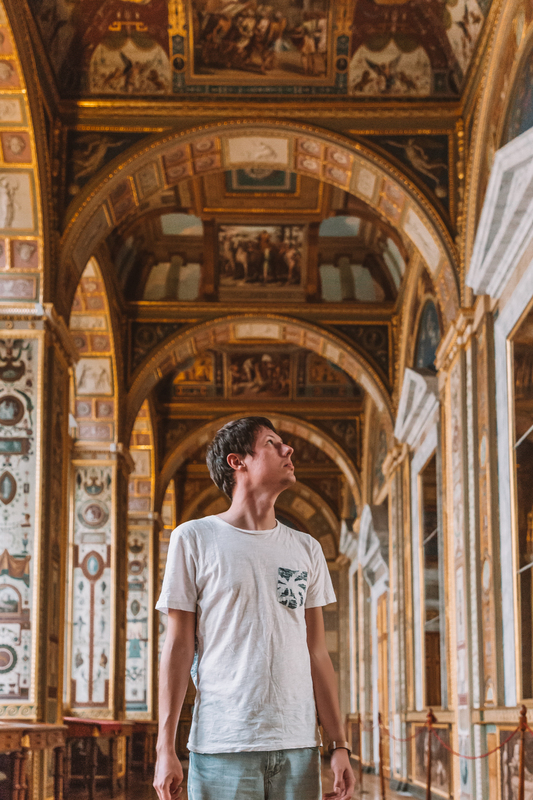 It’s obviously impossible to see everything in one visit. 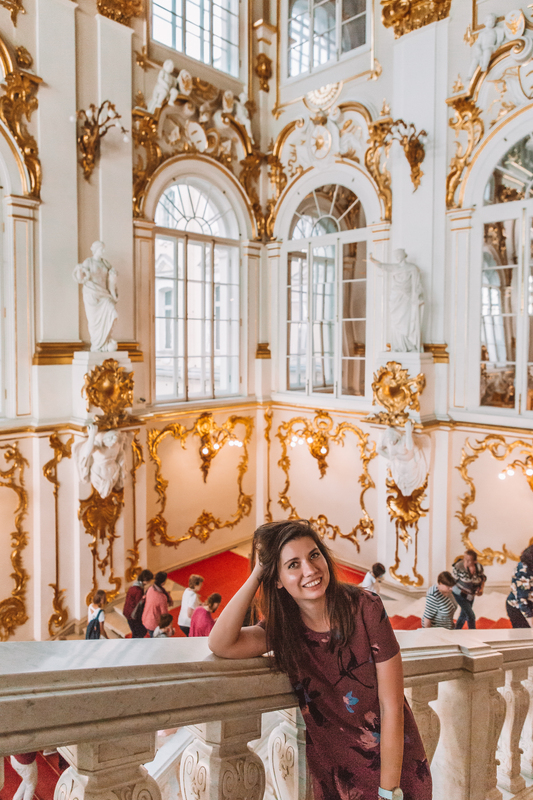 But the size of the building is not the only obstacle, the fact that some rooms were converted into offices or even a storage for art pieces that don’t fit into the current collection (or maybe, are just too good to be seen by ordinary people) made this giant labyrinth even more difficult to navigate. 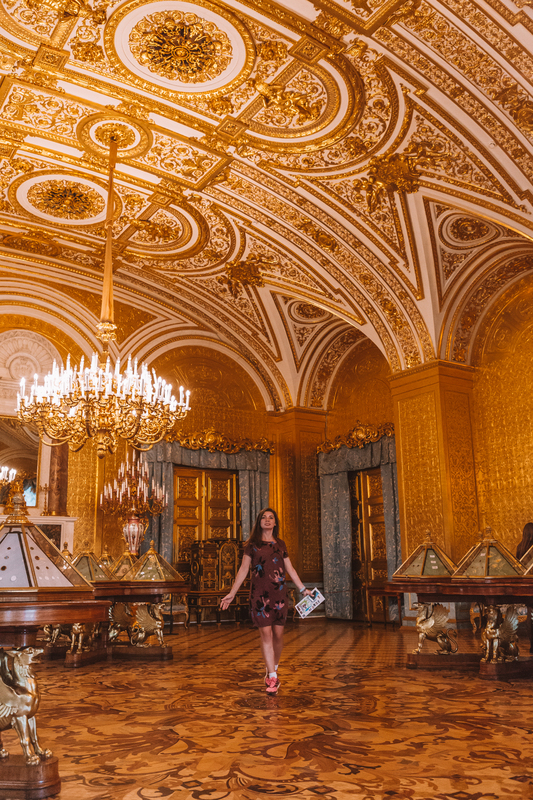 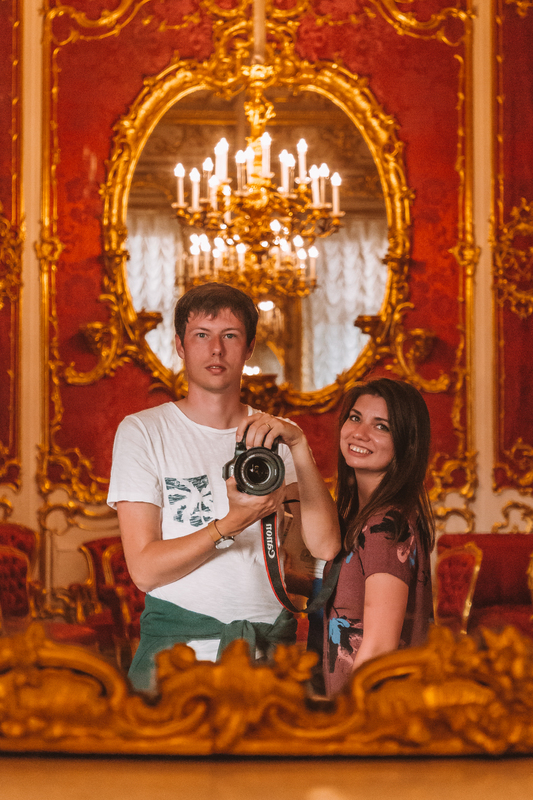 Though nothing can be better than getting lost in tsars’ rooms, right?